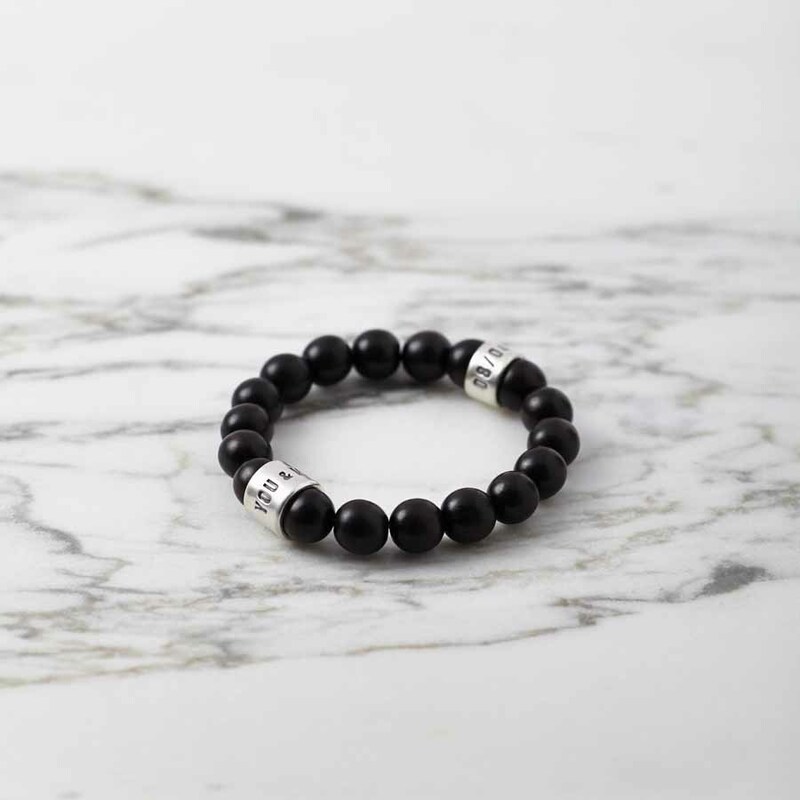 Beautiful smooth tiger ebony wood bead bracelet with solid silver personalised beads. 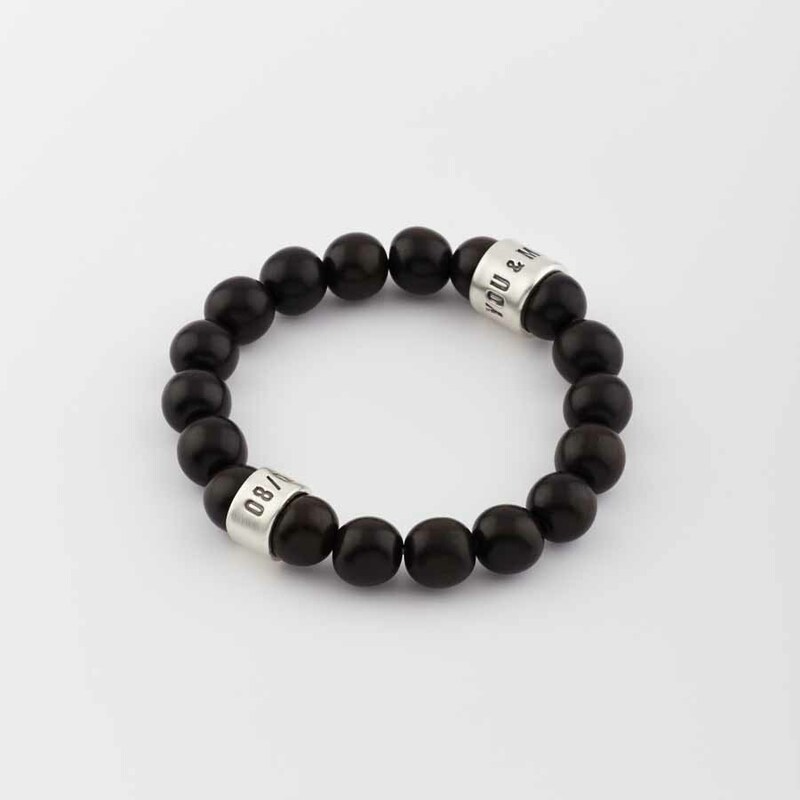 Handmade to order, this bracelet is made from ebony beads and solid silver personalised bead/s stamped with your chosen text – a wonderful way to remember special memories, dates and locations. 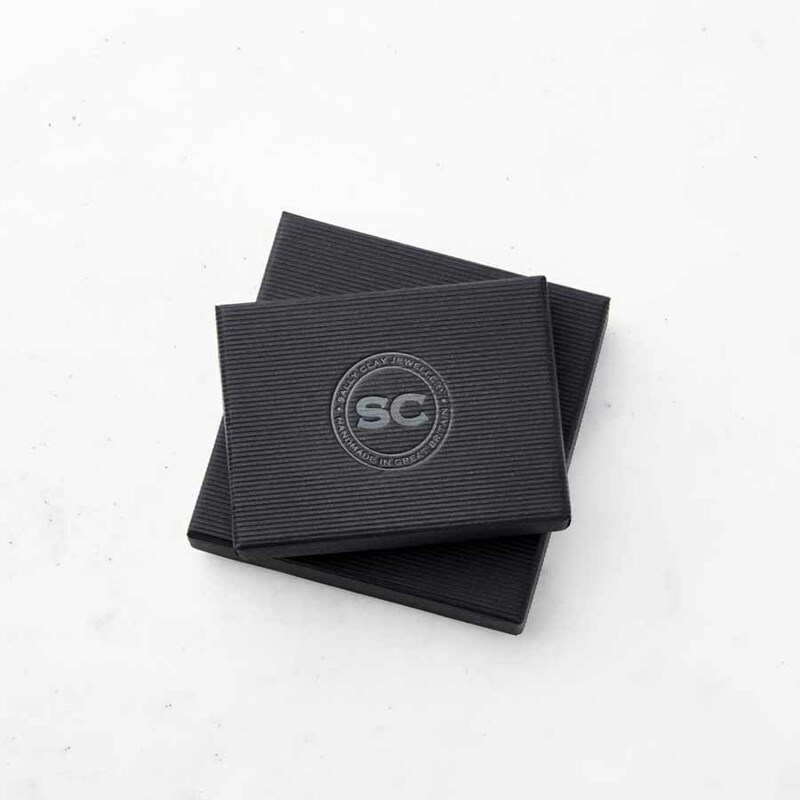 One wide (1cm x 1cm) silver bead is included in the price – an additional narrow (0.5cm x 1cm) silver bead (as pictured) can be added by using the drop-down menu below. The wide bead can be stamped with up to 30 characters (including spaces) per silver bead (15 characters per line, 2 lines per link). The narrow bead can be stamped with up to 15 characters (including spaces) on one line. All stamping is in upper case for clarity. Please use a ‘/’ to indicate where you would like the text split over the two lines. Made from 10mm Tiger Ebony wood beads and fine silver strung on strong elastic cord.